There’s one thing I think is really annoying when I’m driving along a nice, sparsely occupied highway: people with feet hanging out of their window. It’s usually passengers, but still. I really don’t understand. If your ride is that long, and you need to take your shoes off, that’s fine. Why do you need to stick your feet out of the window? It just looks really weird to someone driving along like me. There are crazy people out there who are just waiting to see this and are ready to lop peoples’ feet off with a machete like the guy in that awesome movie. I guess I’m #justsayin . I will admit to having my feet out the window before – and as a driver, but in my defense, I was five hours into what should’ve been a six hour drive when I hit back-up in New Jersey. It was 90+ degrees and it’s not great on the car to blast the air when you’re just sitting in traffic praying you don’t run out of gas. So the windows were down…and my legs are long and my circulation isn’t great so it was my only way to stretch. See, really, I put my feet out the window to avoid a blood clot and eventual stroke – I did it for my health. Ha! Other than those extreme circumstances I’d have to agree with you. I also hate seeing dogs with their heads out the window. I know they love it – but it’s so dangerous…you could hit a bump and really knock their head around. 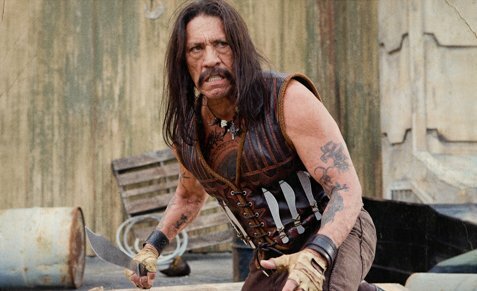 By the way, don’t you just love Danny Trejo? He was amusing on Breaking Bad.